To this effect, the Senate yesterday directed its committee on Ethics, Privileges and Public Petitions to investigate the veracity or otherwise of the allegation that the amendment of the Electoral Act was targeted at the president. The ten Senators opposed to the Election Sequence re-ordering are Abdullahi Adamu, Umar Kurfi, Ovie Omo-Agege, Benjamin Uwajumogu, Binta Masi Garba, Andrew Uchendu, Yahaya Abdullahi, Ali Wakil, Abdullahi Gumel and Abu Ibrahim. The Senate committee, which has been asked to conclude its investigation and submit report for Senate consideration within two weeks, was the same committee, which investigated another allegation against Ali Ndume which eventually led to his suspension. 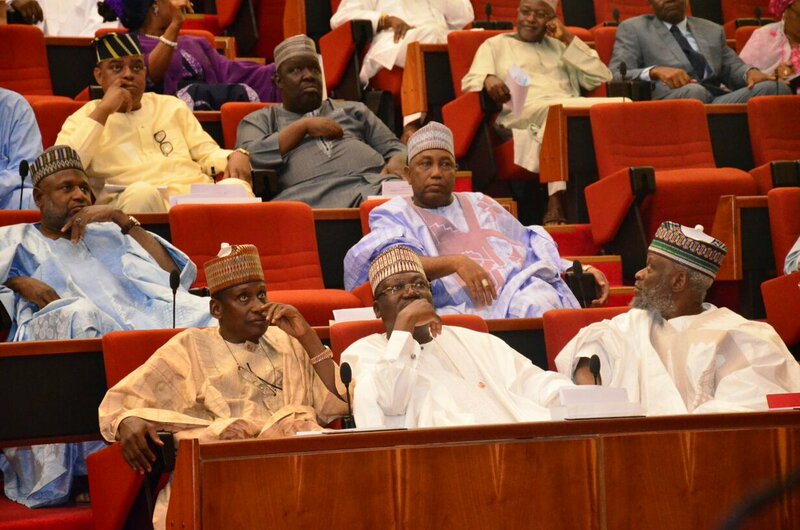 The decision to investigate the allegation made by Senator Omo-Agege and nine other Senators against the electoral Act amendment was sequel to a motion sponsored by Senator Dino Melaye (APC, Kogi West). Citing Senate Order 14, Senator Melaye drew the attention of his colleagues to the fact that his privilege as a senator as well as the collective privileges of senators has been breached by the allegation that the amendment effected on the Electoral Act by the Senate was targeted at the president. Melaye explained that the import of the statement showed that the National Assembly was biased and that the bill was to witch-hunt the ambition of the president. He condemned the statement as being mischievous and unfit for a Senator of the Federal Republic of Nigeria. He said Omo-Agege not long ago defected from the Labour Party to the ruling APC, and wondered why he could claim to be a better party man than himself. But the presiding Deputy Senate President, Ike Ekweremadu not allowing the matter for further debate, hit the gravel approving that the ethics and privilege committee investigate and report back in two weeks. Meanwhile, Rivers State Governor, Nyesom Wike, has claimed that the controversy over the sequence of 2019 elections by the National Assembly and the executive is a pointer of intention to manipulate the polls by the APC. Wike has also reiterated that the Independent National Electoral Commission (INEC) as presently constituted lacks the capacity to conduct credible polls in Nigeria. He called on the international community to closely monitor the nation’s electoral process to stop INEC from manipulating the 2019 elections. The governor made this assertion during a visit by the German Ambassador to Nigeria, Dr. Bernhard Shlagheck to the Government House, Port Harcourt yesterday. The governor further claimed that due to the failure of APC, the party plans to use INEC and security agencies to create crisis and manipulate the electoral system. Wike urged the German ambassador to ensure that the Federal Government is committed to the development of the Niger Delta. According to him, despite resources produced in the Niger Delta, the people have been denied access to infrastructural development. Ambassador Shlagheckv called on all political stakeholders to work for the success of the 2019 general elections.